The most famous arcade game of all times. 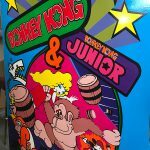 Donkey Kong combo classic arcade rental is an official remake of the famous 80’s classic arcade games Donkey Kong, Donkey Kong Jr. and Mario Brothers. At the beginning of the game, the player can chose to play any of the three games. 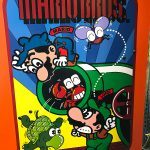 The games are original 80’s games, the cabinet is all new and updated with new joysticks, computer and sound. 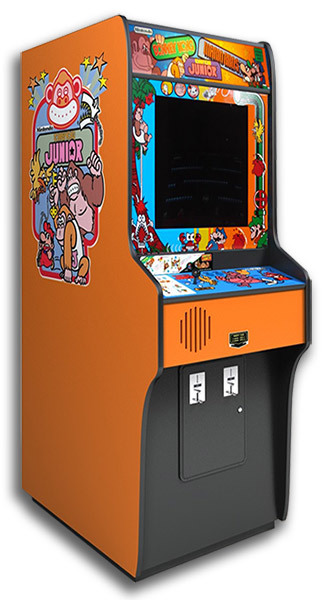 Donkey Kong game was made by Nintendo and release in 1981. 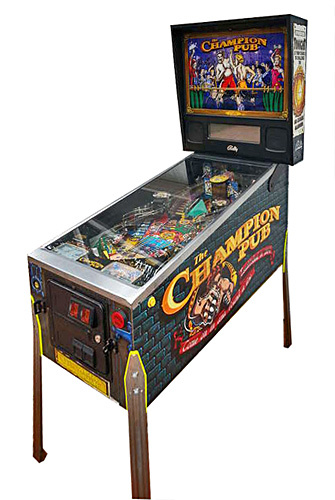 The game became one of the most famous arcade game of all times. The main character in the game is Jump man, that later became the most recognizable iconic character Mario. 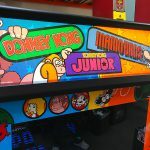 The Jump man is traversing stages in sequence, avoiding and jumping over obstacles scattered in the path by a huge ape; Donkey Kong, that also became the most recognizable Nintendo’s video game character. The mission of the Jump man is to save a young woman in agony before time runs out. 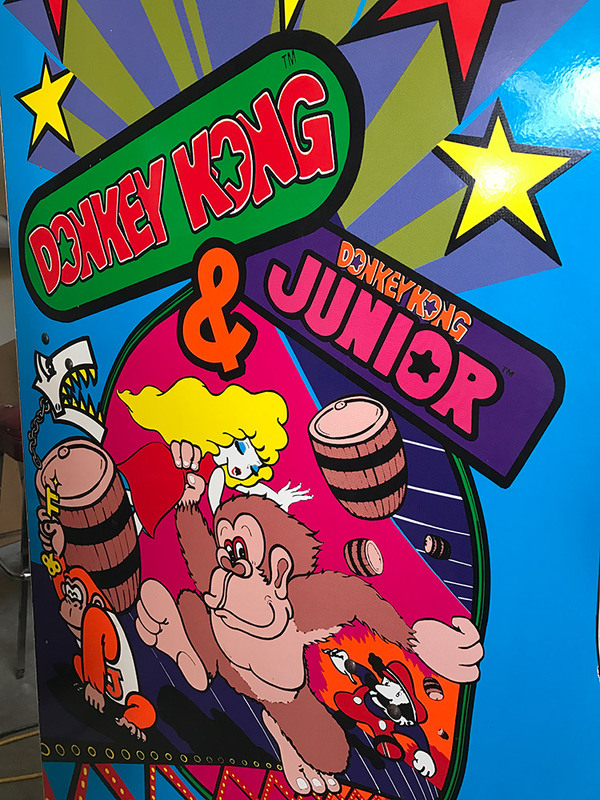 Donkey Kong combo classic arcade also called Donkey Kong-DK Jr.-Mario Bros. is a great choice for rent since one cabinet offers 3 games to choose from. The game is suitable for any age and just about any event such as charity fundraiser, trade show promotion, birthday parties, corporate events, weddings just name a few. 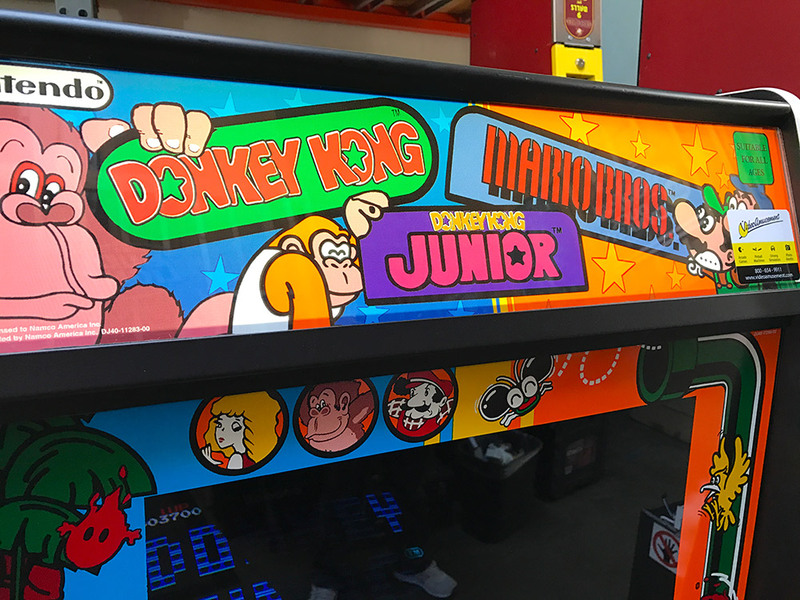 We deliver our classic arcade games in California, San Francisco, San Jose, Santa Clara, Santa Cruz, Palo Alto, Monterey, Sacramento, Los Angeles, San Diego, Silicon Valley, East Bay, Central Coast and Bay Area cites as well Las Vegas Nevada. Multiple game units are available in stock and ready for your guests to enjoy. 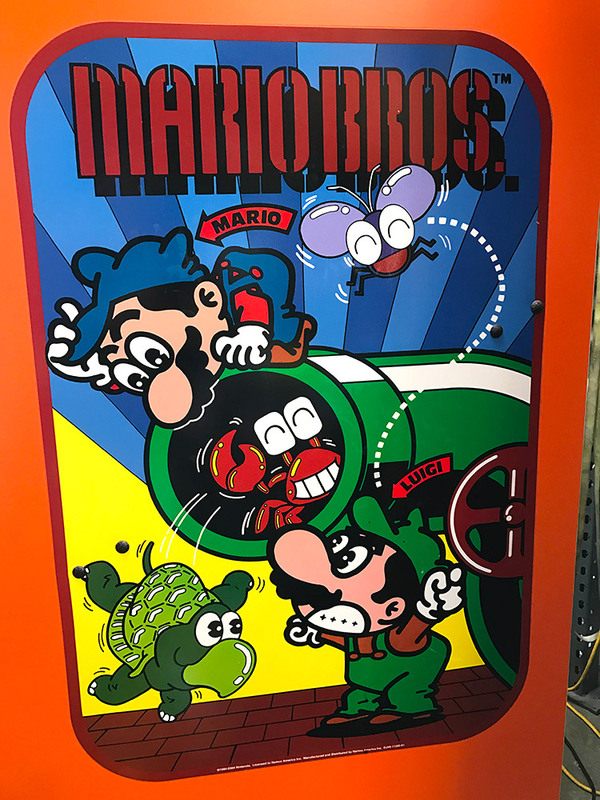 Games rentals can be customized with your company logo or custom graphics to make your company stand out at any event or trade show.